Why wait? Begin now to cultivate positive habits and practices to create a life that feels good. 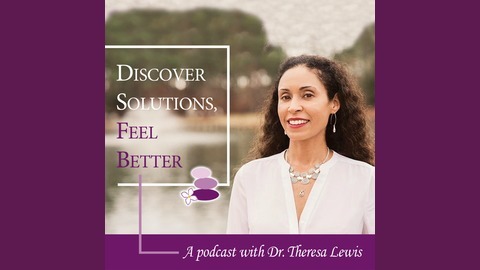 Discover Solutions, Feel Better is a podcast hosted by psychologist, Theresa Lewis, Ph.D. She provides a calm, simple approach to help you awaken to your true self, without all the hype and overwhelm. She’s here to guide you with strategies and information for a healthy life. To stay in touch, visit wakepsychology.com. Please subscribe to Discover Solutions, Feel Better and take care of yourself today! 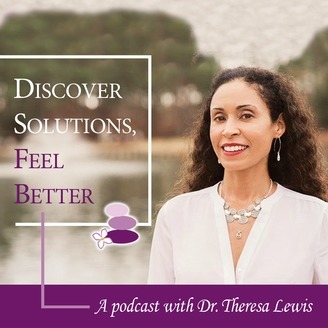 Welcome to Discover Solutions, Feel Better Podcast. I’m your host Dr. Theresa Lewis. I’m a psychologist who’s passionate about helping people discover solutions and feel better, and I have so much to share with you to help you with your health and wellness goals. In Episode 7 I will be giving you practical tips to help your exercise plan stick! Our bodies were made to move and we need to do just that. Spring has sprung so if you have been inactive during the winter, now is the best time to get moving - as exercise is the number one self-help tool to relieve anxiety, stress, and depression; and to help manage ADHD, and improve our cognitive abilities. Most of all, I hope you motivate yourself with kindness and love rather than self-criticism. So give these strategies a try and let me know how it goes. You can do it. I'll be back soon with more inspiration to help you Discover Solutions and Feel Better. Until then, be well, be you and breathe.